We all know that dogs are the best, right? They are so cute and fluffy, and they are literally always there when we need them. I mean, no wonder they're "man's best friend." But besides that, they can be so much more — working with the police, guiding blind people, sensing things before they happen are just some of their hidden talents. And of course, these beautiful creatures can also surprise us and help us when we need them the most, and even save our lives. They are definitely way smarter than we think they are and we should never ever take them for granted. Seriously, what did humans do to deserve these angelic fluffy creatures? Here are 15 heroic dogs and their amazing stories of how they saved lives. This cutie here is Faith, a 4-year-old dog that called 911 when its human Leana fell out of her wheelchair. “I sensed there was a problem on the other end of the 911 call,” said Jenny Buchanan, dispatcher who took the call. “The dog was too persistent in barking directly into the phone receiver. I knew she was trying to tell me something.” Once the help had arrived, Faith, unlocked the front door and let the police in. According to Leana, this cute furry hero was acting clingy and weird all the time during the day of Leana's fall. That's because Faith is trained to sense changes in Leana's body chemistry and alert her to possible seizures. Leana sure is lucky to have Faith by her side. 14 This black Labrador saved a baby from being hit by a car. This adorable Lab pictured here is Jet and she has been a guide dog for eight years. Jet became a viral sensation in 2013 when she saved her human's baby from getting hit by a car. "Just after we stepped off the curb I heard a screeching from a car and it banged into me, sending me flying. Just before it hit me Jet pulled her harness out of my hand and actually pushed the pram out of the way," said Mrs.Cowley, who is registered blind. According to her, Jet hadn't received any special training for these types of situations, but she somehow knew what to do in that moment and saved the baby's life. After doing that, Jet went and licked the owner's face to check if she was conscious. Seriously, how amazing is this? 13 When you get adopted by nice people, you can repay them by saving their lives. This is Clobberhead, a hero dog who saved lives of his owners two months after he was adopted. “It was just one of those things where (we knew) this was our dog for sure,” Cramer, one of the owners said when looking back to the adoption day. One day, while Cramer was home sick, Clobberhead started acting weird. He would stand near the wall and sniff it and when she tried to take a dog for a walk he pulled her back inside and ran up the stairs to the laundry room and that's when she smelled the gas leak. If it wasn't for Clobberhead, the house would have probably burst into flames. “If it wasn’t for him coming into our lives, we probably wouldn’t be here right now,” the proud owner said. 12 This dog saved his owner who was buried in mud. Another example of how helpful dogs can be. In this rescue story, a man got stuck in mud in the lake, but was saved, thanks to his dog. After getting stuck, the man called 911 for help. However, when the help arrived, they realized the water was too shallow for a boat and that they too would get stuck if they tried to reach the man. Eventually, the rescuers came to idea to use the dog, who was nervously running back and forth, to get the man out of the water. They attached a rope to the dog’s collar and the dog swam to his owner, who was then pulled out by the rescue crew. Considering that the water temperature was just a bit over the freezing point, we can say that this man owes his life to his dog. 11 And this Australian kelpie saved his 76-year-old owner. Thanks to Boydy, an Australian kelpie, 76-year-old Herbert Schutz was able to survive four cold days and nights, trapped under his vehicle until the rescue crew arrived. Herbert crashed his vehicle after hitting a tree and stayed pinned beneath the car for four days. All he had was his loyal dog friend who laid on him to keep him warm. “Even when we found him, the dog ran straight to his side and cuddled up to him. He didn’t want to leave him even then,” said one of Herbert's neighbors. Herbert was taken to the hospital in serious condition, but don't worry, he was okay and while he was gone, his dog, Boydy, was taken care of and rewarded by neighbors until Herbert returned home. See, you can always count on your dog! 10 Some dogs would even jump in front of a train for their owners. 9 This adorable creature saved his humans' 9-week-old baby. 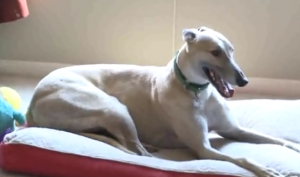 This is another heroic story where a rescue dog repays the family that took him in. One night, Duke, the adopted dog, jumped on the Jenna and her husband's bed and began to shake uncontrollably. He woke the couple and his odd and unusual behavior indicated that something was wrong which gave them a reason to be concerned. Jenna's husband ran to his nine-week-old baby to check on her, only to find her not breathing. They immediately called 911 and soon after little baby Harper was revived by paramedics. "If Duke hadn't been so scared, we would have just gone to sleep," said Jenna. "He's the perfect dog, he was meant to be ours." Little Molly DeLuca from Florida was playing with Haus, her adopted 2-year-old German shepherd, when a venomous rattlesnake showed up in the backyard of the house. Of course, Haus, being so caring and protective of her, did something super brave to save her — this adorable hero jumped between the little girl and the rattlesnake and got bitten by it three times, which caused some damage to his kidneys. He was taken to the vet immediately, but his recovery wasn't cheap; each day he stayed there costed between $1000 to $1500, and painkillers, together with anti-venom was almost $620. But don't worry, some good people wanted to make sure that Haus will heal properly, so they started a GoFundMe campaign for him and $35,000 was raised for the Klaus' recovery. "It shows you that a rescue dog, for us, paid it forward by protecting my family," said Adam DeLuca, Molly's father. 7 Sometimes they will chase away armed robbers. This is another heroic story about a brave dog who saved his owner from a armed robber.When a shop owner from France left the shop to throw out the garbage, an armed man wearing a mask ambushed the shop and threatened the owner with a gun. Luckily, the owner's dog was there to come and save him. This GIF, that was made from a CCTV video, shows how courageous the 4-year-old dog really is — he runs to help the owner, biting at the masked robber and forcing him out. You can watch the full video here. Trust me, there are so many stories like this (where a pup saves the day) that I could be writing these stories for the rest of my life. 6 Not only do they save humans, but they also save other dogs. Thanks to this handsome stray dog, two animal rescuers saved 10 tiny puppies and their mother from dying. For weeks, this cutie was successfully avoiding rescuers who were trying to gather stray animals in a Dallas park. 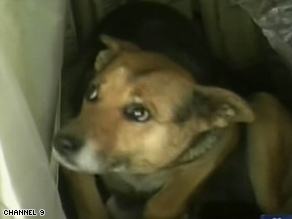 But one day, when he saw the rescuers again, this hero started constantly barking. That intrigued the rescuers because he had never acted like this before. "He's never acted like that before and I was worried that maybe he was sick or [that] something... happened to him," said Marina Tarashevsce, one of the rescuers. The stray dog would bark at them and start walking, then stop and wait for them to come closer, only to start barking and walking again. "Every time we got closer he would go away and bark at us saying, 'keep coming, keep coming my way,'" said Miller, the other rescuer. The dog took led them near a burned out tree, where 10 shivering puppies and their exhausted mom were lying. Considering that the temperature was very low, the puppies and the mother would've probably died if they weren't found. 5 This dog sheltered an abandoned newborn baby. A resident of a village near La Plata, a city in Argentina, dialed an emergency number one late night to report a baby's cry coming from a field near his house. After doing that, he went outside and discovered an infant baby, lying next to a dog and its newborn puppies. According to the chief of police of the Province of Buenos Aires, the temperature that night was very low, around 3 C (37°F) and if the dog hadn't found the infant, he would've died. This brave canine had apparently carried the infant from the place where the mother abandoned it to where she and the puppies were lying. "She took it like a puppy and rescued it," chief of police said. "The doctors told us if she hadn't done this, he would have died. 4 Killian helped put an abusive babysitter behind the bars. Benjamin and Hope Jordan were very careful in their search for the perfect babysitter for their 7-month-old son, Finn. They came across the 22-year-old, Alexis Khan, who came up clean after a background check, which made the parents believe that they had found a perfect person for the job. Unfortunately, they were wrong. Alexis Khan was both verbally and physically abusing the baby for almost five months before getting caught. How did she get caught, you wonder? Well, the family dog was there to help. He was the only witness to the abuse and he made sure to let the parents know what was happening. “About five months into her being our baby sitter, we started to notice that our dog was very protective of our son when she would come in the door,” said the father. “He was very aggressive towards her and a few times we actually had to physically restrain our dog from going towards her.” The parents decided to hide an iPhone beneath the sofa one day in order to see what was going on. “It started with cussing,” Finn's father said. “Then you hear slapping noises and his crying changes from a distress cry to a pain cry. I just wanted to reach through the audio tape, go back in time and just grab him up.” Of course, the sitter ended up in prison, and the parents are sure that if it weren’t for Killian, their baby would've lost its life. 3 They would walk through fire for their humans. Literally. 61-year-old John Toothill was saved by his Alsatian, Alfie, who raised the alarm after a fire started in the loft of John's bungalow in Lancashire. Smoke alarms weren't activated but luckily for John and his partner Nicky, the furry hero Alfie sniffed out the danger and gave them time to leave the house before it all went up in flames. The proud owner said: "Alfie is the hero. We had smoke alarms fitted but the fire was in the roof and when I woke up there was no sign of a fire, no smoke, no smell. All I could hear was Alfie barking and a sound like heavy hail on the roof." Even though John lost all his possessions in that fire, he still has his two most valuable things – his partner Nicky, and the dog that saved their lives. 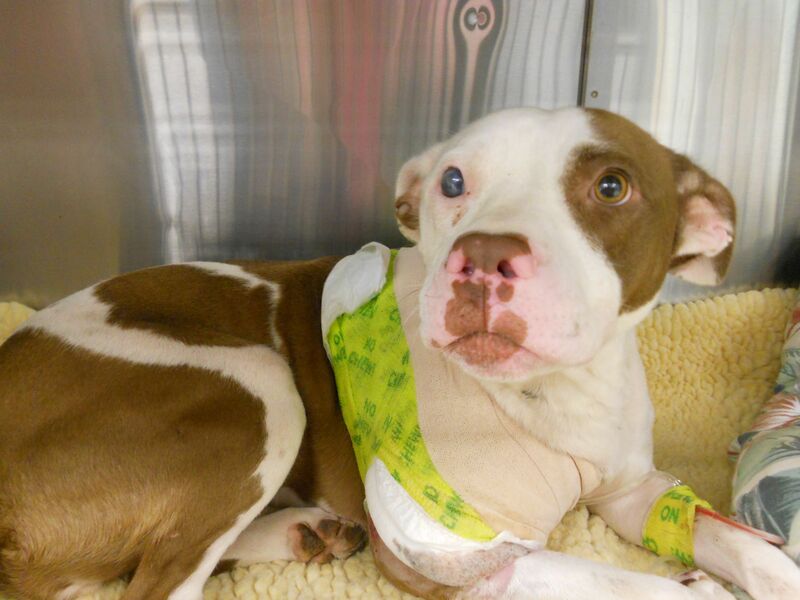 2 And this pit bull took a bullet for his owner. 1 This is a story about a dog who stopped a woman from committing suicide. A 63-year-old French woman planned to kill herself in her garden, but she was lucky enough that her German Shepherd was there and did not allow that to happen. Before trying to fire a gun into her heart, the woman fired several shots to make sure it was working. “At the moment she pulled the trigger, her dog jumped on her, knocked aside the gun and diverted the shot,” said a police officer, who also thinks that the dog “probably sensed things and knocked into her to save her.” The officer adds that the dog looked like he was “deeply affected” by his owner's actions. We can only hope that they had a happy ending after that incident.